Yesterday many Doctor Who fansites posted a story containing information that David Tennant would appear in two episode of the Doctor Who spin-off series, The Sarah Jane Adventures. Earlier this morning, the BBC Press Office confirmed this, along with information that it would not be just a cameo appearance, but Sarah Jane and the Doctor would join forces to battle their biggest threat ever. The press release have also revealed that the a new alien race called, the Veil would be appearing in the same episode as the Judoon and a mysterious extraterrestrial girl, who make people play any game against their will. There will also be a living painting, the inhabitants of a supposedly haunted house, some monsters who want to infect Earth with an aggressive weed and a chance for Sarah Jane to find personal happiness with someone who could be the perfect person to complete her family. Newsround have also posted a video on thier website, in which Russell T Davies talks about David Tennant’s appearance, that can be seen here. BBC – Press Office – The Doctor to appear in CBBC drama The Sarah Jane Adventures. The overnight ratings for the Sarah Jane Adventures Red Nose Day special mini-sode have now been released. The ratings show that the special was watched by around 8.3 million viewers. The 1 1/2 slot that David Tennant presented with Davina McCall had an average of 9.2 million viewers, Comic Relief peaked at 9pm with around 12.7 million viewers. You can watch the Sarah Jane Adventures special here, and keep donating here. The BBC Sarah Jane Adventures website have now updated their website with a 20 second teaser for tomorrows Comic Relief special episode staring the very popular comedian Ronnie Corbet. Not only has the BBC released a video, they have also released 3 promotional images to promote the show, they can download the wallpapers from the official site here. Please donate money to Comic Relief tomorrow, the teaser can be seen here. The BBC have confirmed rumors that there will be a special Sarah Jane Adventures episode for Red Nose Day this year. The event which is to be hosted by David Tennant for the first hour, will be broadcast on Friday 13th March. The episode which is to be filmed soon is to also feature the well-known comedian Ronnie Corbet. More information will be posted as soon as it is received. The latest issue of Doctor Who Magazine reveals that series 3 of the Sarah Jane Adventures will see the return of the faithful robot dog, K-9. Since the series started in 2007 K-9 has been in a safe that is connected to a black hole, K-9 has been keeping the black hole stable ever since. But now the metal dog is released from the safe and will Sarah Jane and her gang safe. The dog will not be in all 12 episodes but is expected to be in 6 episodes in the series. Series 3 of the Sarah Jane Adventures in pre-production at the moment and will be broadcast in the Autumn. The covers for two new sarah jane adventures audiobooks have been released. The Ghost House and Time Capsule will be released next month, priced £5.99. Synopsis’ for the stories can be read on sarah-jane.tv. you can see both covers for the cd’s here. Part One – Reports of strange lights around the Tycho Radio Telescope lead Sarah Jane, Luke, Clyde and Maria into a terrifying forest encounter – and Sarah Jane comes face to face with her oldest enemy. Meanwhile Maria wrestles with a huge decision when her dad is offered a new job in America. Part Two – Sarah Jane and the gang have only 40 minutes to save Earth as Sontaran Commander Kaagh plots to bring the world’s orbiting satellites crashing down on nuclear installations across the world. And Maria’s Mum finally gets to the truth from Alan – but will they be in time to save Maria? Part One – New girl in Bannerman Road, Rani Chandra, is being haunted by a sinister clown – does it have anything to do with the local children that have gone missing? When Clyde’s friend disappears the trail leads them to a strange circus museum – and the legend of the Pied Piper! Part Two – Sarah Jane’s investigation into Spellman and Odd Bob the Clown takes her to a meteorite at the Pharos Institute. But Spellman’s plot to make all of Park Vale’s pupils vanish leads Sarah Jane into a confrontation with her own childhood fears in a bid to save Luke. Blogtor Who have revealed the start date for the second series of the Sarah Jane Adventures, the date that The Last Sontaran part 1 will air is Monday 29 September, the time is still unknown. Blogtor Who have also posted two promo images from the second series they can be seen here and here, also Blogtor Who have posted the special behind the scenes feature that is broadcasting on CBBC Extra that can be seen here. Starting Sunday 31 August BBC One is to re-run the first series of the Sarah Jane Adventures at 2.00pm. Each Sunday for the next five weeks BBC One will show a double bill of each episode starting with Revenge of the Slitheen right up until the end of the series which will end on Sunday 28th September highly suggesting that series 2 will begin airing the next day on the 29th. Play.com have now released the UK cover for the upcoming release of the Complete series 1 boxset of the Sarah Jane Adventures, which will also include Invasion of the Bane. The cover is similar to the USA version however there are slight differences. The boxset is to be released on 10th November and is believed to be sold at a price of £24.99. The full cover can be seen here. 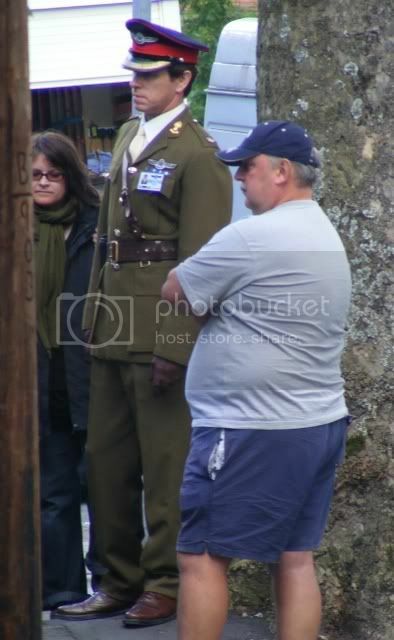 Images of filming on the second series of the sarah jane adventures have now been uploaded by doctor who forum member jules nr 1940 London on the image hosting site flickr. The images show Elizabeth Sladen as Sarah Jane and Thomas Knight as Luke filming what many fans think to be episodes 9 and 10. The images contain minor spoilers, click here to see the set of images. BBC Worldwide have released the cover for the upcoming release of the Sarah Jane Adventures Series 1 boxset to be released in America on 7th October at an rrp of $49.99. The boxset will have four discs including all 10 episodes from the first series and the new years day special, Invasion of the Bane, no extra’s have been stated as being on the discs yet. The DVD will be released in the UK 10th November. The full cover can be seen here. Penguin Books have announced the titles of two upcoming books based on series 2 of the Sarah Jane Adventures, the tiles of the books are, The Last Sontaran and Day of the Clown. The books are normally based on the TV episodes themselves so these titles may be the titles for the episodes that will this Autumn. These 2 books will join the already released Invasion of the Bane, Revenge of the Slitheen, Eye of the Gorgon and Warriors of the Kudlak. Screencaps from the trailer can be found on the Doctor Who Site here. 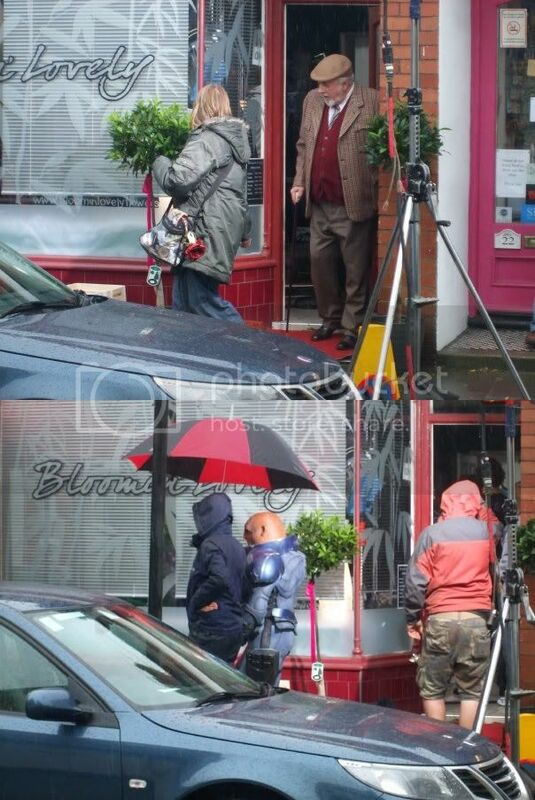 The Sarah Jane Adventures crew were filming in Wales yesterday, as usual the doctor who forum member Scooty was there and managed to take images of returning members that most doctor who fans will recognise, these include Brigadier Leftbridge Stewart and a Sontaran. Mrs Wormwood from the New Year Special is also believed to be returning as well (highlight to reveal). click here to see 2 filming images with thanks to Scooty. 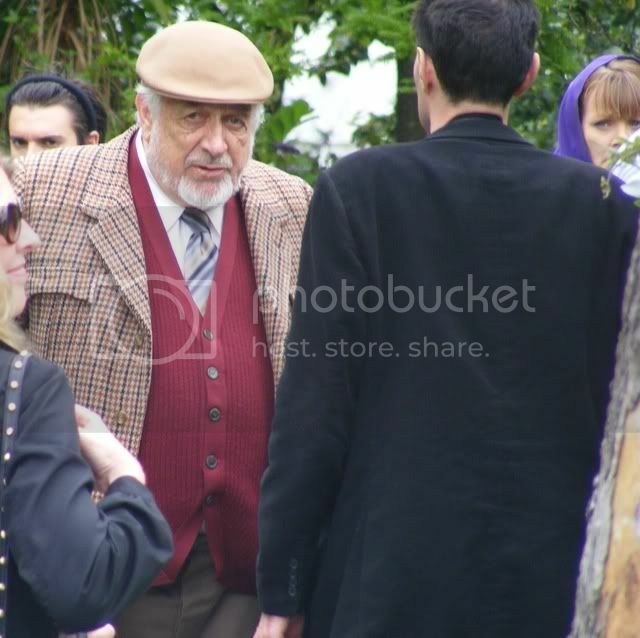 More various members on the Doctor Who Forum have posted more filming images and confirm the return of Mrs Wormwood (highlight to reveal), see some images here, here and here. 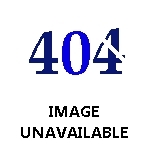 The images also confirm that U.N.I.T (highlight to reveal) are in series 2, see that image here.